These sessions offer a holistic programme of breath work, postures, movement and relaxation suited to all stages of pregnancy, from 16 weeks onwards. For class details and costs please email Jay as booking is necessary for these classes. Antenatal yoga is recognised as a mainstream activity. It is now recommended to pregnant women by the medical profession as a healthy means of managing a pregnancy in a holistic way. It is adapted from Hatha yoga postures, but takes into account the pregnant body and offers appropriate physical postures to help "open" the body, strengthen the muscles, and stretch safely. 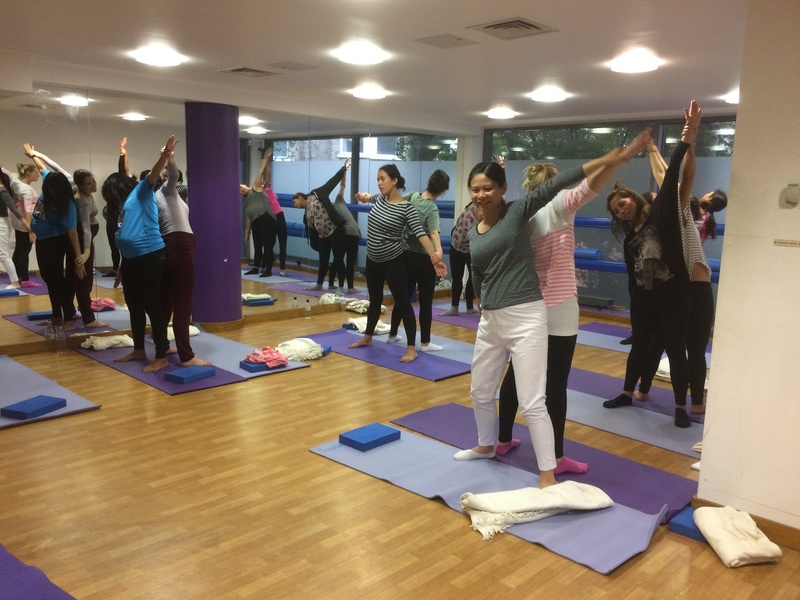 Our sessions offer a tailor-made comprehensive system for learning and using yoga throughout pregnancy, labour and birth, which will accommodate the changing physical and emotional needs of each pregnant mum. Women learn simple but effective breath, relaxation techniques and yoga postures to manage common physical ailments and visualisation practices to build confidence and assist in birth. Yoga during pregnancy: The effects on labor pain and delivery outcomes (A randomized controlled trial). We also offer Birthing Sessions.